Disclaimer: This post has been sponsored by Bariatric Food Source (www.bariatricfoodsource.om). All opinions expressed are my own. To enter the giveaway and earn points to winning free product – scroll to the bottom. True hunger or head hunger? When it comes to snacking outside of a meal time, the first question to ask ourselves is if we really need it or do we just want it? 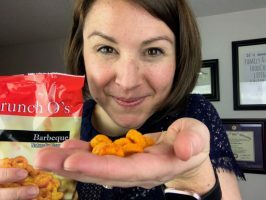 What are the options for bariatric friendly snacks? Sometimes we know the answer is that we just want it, but we still just want it! I am a fan of trying all the different tricks to see if you can get your mind to move on from having something if you know you aren’t hungry. If you’ve already brushing your teeth. If you’ve tried reading a book. If you’ve turned all the lights off in the kitchen but you STILL just want something, there are options to keep on hand. If you just need something sweet. There are some bariatric friendly snacks that also give you a satisfying taste of chocolate! 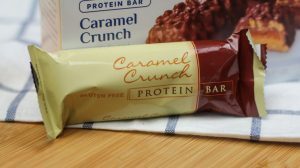 As a bariatric dietitian working in clinics that sold protein bars, I have seen year over year the biggest seller was always the Caramel Crunch Protein Bar. I would describe this protein bar as tasting very similar to 100 Grand Bar. It’s very satisfying for a sweet tooth between the chocolate and the caramel and the little crunch tends to make post-ops happy. One bar provides 15 grams of protein, 16 grams of carbohydrates and 5.5 grams of fat. Due to the carbohydrate count you want to be honest to have it when you do feel hunger or eat half of it if you can satisfy your craving with a smaller amount. 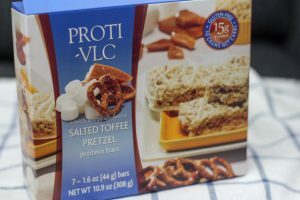 Another bariatric friendly snack with both great taste and nutrition is this Salted Toffee Pretzel Bar also available on Bariatric Food Source. I like that this bar isn’t coated in chocolate if you’re looking for something sweet but not as rich as a chocolate coated bar. This bar has a small amount more of carbohydrate but again, eating half or using in place of ice cream or cookies is a still a good idea. 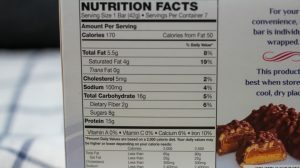 One bar has 15 grams of protein, 18 grams of carbohydrates and 6 grams of fat. Not to worry, there are options to keep a high protein and lower carb alternative to chips or popcorn on hand. 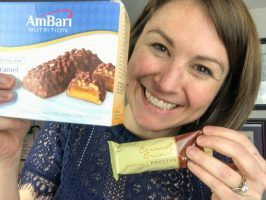 These types of bariatric friendly snacks can be tricky to find where protein and carbs are closely matched. 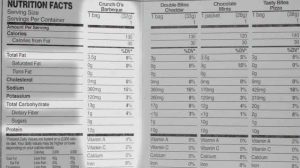 My personal goal for a protein bar or crunchy protein snack is for the protein and the carbs to be as close to each other as possible. One bag having 12 grams of protein, 13 grams of carbohydrates and 3.5 grams of fat. They also come in Sour Cream and Onion flavor. Listed in the first column below. 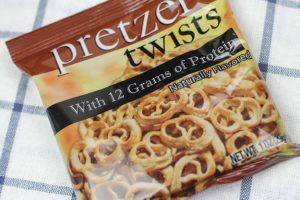 One bag provides 12 grams protein, 11 grams carbohydrate and 3 grams of fat. When I feel the need for a snack I go for the Special K protein nut and fruit bars, or I snack on a cup of ice (I know it’s bad for my teeth). I cant wait to try these snacks! I usually drink water, or a zero calorie flavored water. 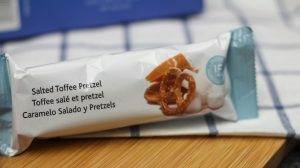 Their snacks are very good and definitely a good alternative to non-bariatric snacks! I usually stick to a pretty strict schedule of eating since I don’t usually feel hungry. That way I know I’m not overeating! Thank you for the great information. I appreciate all of the encouragement and ideas. Can’t wait to try something new. I make myself a cup of tea at night to avoid snacking. It still feels like a treat and gives my brain a chance to rest which is usually what I’m seeking anyway! When I am wanting something to snack on, I typically grab a cup of tea, or protein hot chocolate and then sit down with my crochet project and keep my hands busy. If they are busy and working on a project, less chance of me wanting to get that dirty. This is awesome! As a newbie, I’m struggling to find new products! I’m 3 months post op ( well, 4 days more makes it 3 months) and I definitely need some better snack options. I hope I win! :) thank you! These items look good. It is great that there are such things that help with cravings or feel like treats. They help us from going to the things that are not good for us. The recipes to use these products are also nice. I’m glad I had surgery in the past year. I can’t marine what it was like years ago when these things didn’t exist. 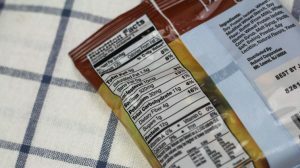 This snacks sound good but when I want to snack, I try to snack on a sugar free popsicle, ride my stationary bike, read or work on my computer. Thanks for these Steph – I have been looking for a small occasional snack that I can have that isn’t super high in carbs. I have seen these but was a little hesitate to try them! I make myself drink water or exercise to delay giving into temptation and usually the delay works to give me back my control. There are times I need something sweet and crunchy. I can’t wait to try some of the new products! These sound delicious! I do miss pretzels and always appreciate portioned snacks. Thanks so much for reviewing and doing the fun givaway! I am a few months out and I still don’t have much of an appetite. I am starting to get bored with eating. I watch my family eating snacks and sometimes I really miss being able to snack on something that won’t effect weight loss. I am afraid to get snacks from the store. I live in a rural area and we don’t have much in the way of special diet foods. I am also getting bored with crystal light and decaf tea. I would so love to win so I could try new foods and recorder what I like. I have one snack a day, in the evening. It would be great to have a something salu or sweet to snack on with my family in the evening. I use seveal different techniques. I never leave anywhere without water, a protein drink of some sort, a lunch box of different snacks but I also never deprive myself of a craving. I just refuse to allow myself to give into cravungs that I know will sabotage my journey. I make treats that are healthy alternatives to what I really want. I’ve learned to make Keto and sugar free cookies and candies, chocolates, chips and so on. I carry all those so that if the mood strikes I have no reason to give into a temporary fix to a larger problem. I try to drink something different-maybe a tea, decaf coffee or a water with a different flavor. A change from my normal beverages is a treat and that sometimes satisfies the cravings. I use these. Recently subscribed to the Keto Krate. The first one was good. We’ll see how the second one fairs. I tend to snack on sunflower seeds at the ball park. It keeps my mouth busy without actually filling it too much. I am missing my sweet and salty jam tho… I sure wish there was a low carb version of kettle corn. I’m always looking for the right type of “snacks” that I can rely on. When I’m away from home for a day at a business event or even family events, I need something to help me. I have seen a couple of these snacks, but a lot of them I haven’t seen before. I find these types of snacks to be very useful when on the go or traveling, especially!! These look good! I try not to snack but once in a while its nice to have a good go to that is satisfying and healthy. I would love to try these! These are great options for the on the go patient. I would love to win these! Great suggestions! I think I need to order some of these products! I need some new snack options! When I was in my first year post-op, I loved the Crunchy O’s. Now I am 4 years post-op and I am recalibrating my habits. I am currently being mindful of what snacks I buy for my kids so that removes some of the temptation to snack. These sound very tasty and I’d bet they would satisfy , when you get the munchies and need to be mindfully choosing something better for your health! Would love to try them! I’ve been searching for snacks like these! The timing of your post is perfect!! I love the BariWise Barbecue chips and the Wonder Slim cheddar snacks. They are very tasty and filling. The caramel crunch bar package around the bar looks exactly like what I had when I did Slim 4 Life and if it is the same they are delicious. I keep a water resuable water bottle next to me at all times. It helps when during those in between stages. I also have cheese sticks on hand. Yummy! I love those Salted Toffee bars!! I live the new snack ideas! I’m excited to try these. When I feel hungry, I grab my “always with me” water bottle. I really was craving snacks today at the office, but identified that it was because I’m very tired. I had a few almonds and went for a walk. I’d love to try these! 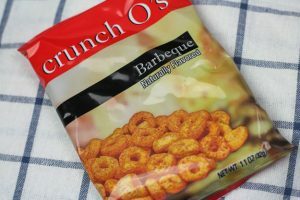 The BBQ Crunch O’s are my favorite snack! I Have been eating them since I was pre-op. My family even likes them!! I love caramel, and sometimes just a half of something fills the craving! Oh my goodness! There is life after VSG. These look amazing and I would love to try them. When feeling like I need something to snack, I usually drink something hot – either decaf hot tea or fat free hot chocolate and listen to music. It does the trick every time. I usually eat at least one protein snack a day and drink a protein drink , I would love to try these products. I DON’T handle my snacking very well. I think the thing that helps most is a cup of Sweet N Salty Kettle Corn. I am always looking for recipe and snack ideas. My journey has been quite tough with some complications but I know there are things out there to still try. Some of the snacks I have heard about and wish I could try. Thank you for sharing this post as it does give me a bit of a guide as to what to look for. It makes it easier having a road map. I mean I think I do okay as far as snacking goes but could use some improvement. I stay away from candy for the most part. I get snacks with at least 5g of protein sometimes more. I make sure that I am staying away from things that have more than 15g of sugar. It’s still a learning process. Oh I think I’d like to try some of these. Maybe they would help me lose some more weight or maybe just stabilize my weight. Stop the urges for the sweet things. Thank you very much for some high protein snack ideas. I keep reaching for the same snacks. These suggestions look great. I recently had sleeve surgery. 2/6/19. Im down 33 lbs. Looking for new and exciting foods/snacks to try. Im loving what I have had so far but want to expand my meals and snacks. When I want a snack and know that I can’t have it. I usually drink water or I get on my stationary bike and start exercising and usually the craving goes away. Looks delicious! 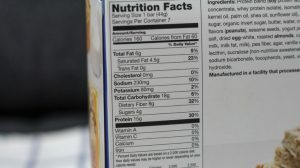 I always use your “# of protein and # of carbs are close together” idea for my snacks! Thank you for the recommendation! I have tried to keep snacks that focus on protein. The information on balancing the carbs and protein is great to know. I can see that these snacks would be better than just eating the regular product to satisfy cravings. I have a hard time trying to decide on a healthier option sometimes. Occasionally I can get my crunchy/salty fix with sunflower seeds. Alway open to better options to try!! Actually, NEED better options to try! And protein to boot! Great suggestions. These would definitely help me stay the course! I am a teacher and I struggle getting in a healthy snack in the afternoon. These are some great options for on the go snacking. I usually try to drink water before resorting to eating a snack. If the hunger pains go away with water, then I am truly not hungry. If the hunger pains return after 10 minutes, I am truly hungry. These snacks sound amazing and just what I need! All of these snacks sound so yummy! For my snacks I tend to go towards cheese sticks or nuts. I personally like to munch on beef jerky to satisfy my need for a snack. It is high in protein, takes quite a bit of chewing and lasts for a bit. Win, win! I also like low carb yogurt with a few frozen berries and a tiny bit of protein granola. It is sweet but also crunchy, which helps me on both fronts. I certainly need all the help I can get. Sometimes the cravings just to have a “normal” snack are intense. Thanks for this opportunity. I started my weight loss journey almost 5 years ago. I never ever thought I would say these 2 ways that I discovered for crushing the cravings. 1. Exercise. I don’t know if it’s the endorphins or not. It has helped a lot. 2. Self-talk. I ask myself, how can I trick my body into believing it’s getting the treat we crave? I have discovered wonderful tasty recipes using low fat, low carb, and sugar free desserts and savory dishes (including a creamy parmesan pasta sauce).